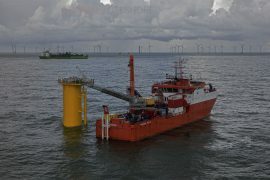 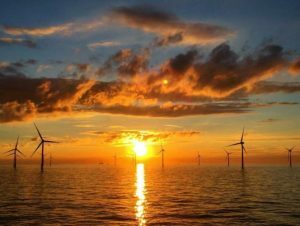 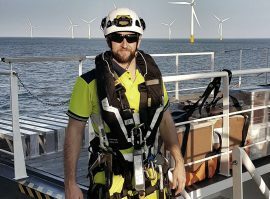 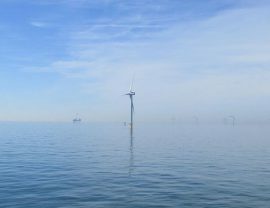 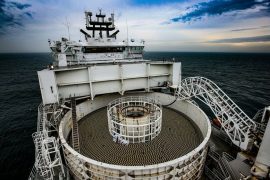 UK-based marine consultancy Waves Group has been selected as Marine Warranty Surveyors for the Triton Knoll offshore wind farm development. Damen Shipyards has contracted electrical system integrator Bakker Sliedrecht to supply all main electrical installations for the Service Operations Vessel (SOV) Bibby WaveMaster Horizon. 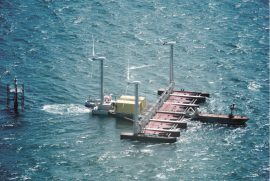 Floating Power Plant (FPP), a developer of a wind-wave hybrid energy technology, has completed a three-week testing at Aalborg University’s new wave basin facilities. 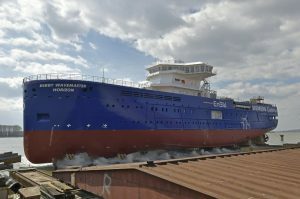 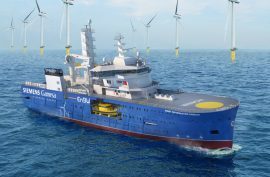 Following an internal competition, workers at Siemens Gamesa and EnBW have decided on a name for the second Bibby WaveMaster Service Operation Vessel (SOV). 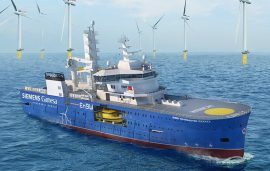 Bibby Marine Services has signed long-term charter agreements with EnBW and Siemens Gamesa for the use of a new Service Operation Vessel (SOV) to be deployed at EnBW’s offshore wind farms Hohe See and Albatros in the German North Sea. 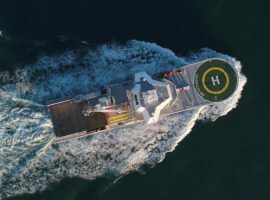 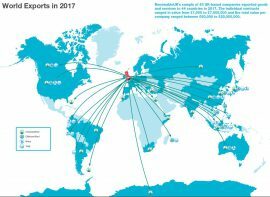 Floating Wind to Save the Day at Cornwall's Wave Hub? 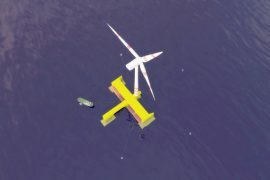 Wave Hub is looking to facilitate floating wind technology testing at its site off Cornwall due to slow progress of the wave energy sector and delays from technology developers that signed up for testing their devices at the site. 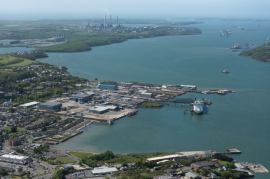 Wave Hub Limited (WHL) has submitted an environmental scoping report to Natural Resources Wales and the Marine Management Organisation for the Pembrokeshire Demonstration Zone (PDZ). 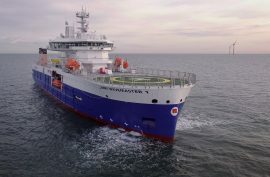 Glomar Offshore’s multi-purpose DP2 subsea support vessel Glomar Wave has executed a project for GeoSea on the Rentel offshore wind farm in the Belgian North Sea. Bakker Sliedrecht, which will provide the main electrical power package for GeoSea’s offshore wind installation vessel Orion, informed today that it had delivered the main electrical installations for Bibby WaveMaster 1 Service Operations Vessel (SOV). 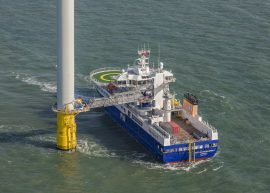 Bibby WaveMaster 1 undertook its first significant charter this week as the vessel departed from Harwich to support the construction of the Galloper offshore wind farm, innogy informed via social media. 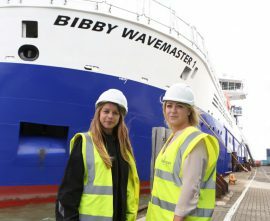 Bibby Marine Services Limited held a naming ceremony for Bibby WaveMaster 1 in Rotterdam on Wednesday, 6 September. 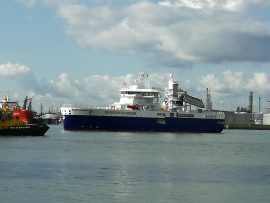 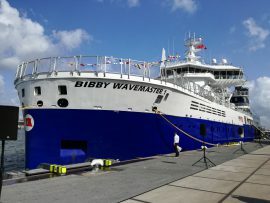 Bibby Marine Services’ service operation vessel (SOV), Bibby WaveMaster 1, has completed her maiden voyage from Damen shipyard in Galati, Romania, to the Port of Rotterdam, the Netherlands.